On Sunday, October 14, Salvadoran Archbishop Oscar Romero will be declared a saint by Pope Francis. Archbishop Oscar Romero was a leader against poverty and social injustice and was assassinated in 1980. We would like you to help us honor his legacy by supporting the work of Comunidades de fe Organizadas en Acción (COFOA), PICO International’s chapter in El Salvador. COFOA is fighting injustice on many fronts. 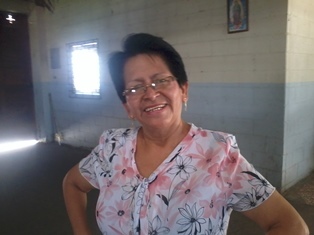 Right now, they are working with communities throughout El Salvador for clean water. 90% of rivers in El Salvador are contaminated. The majority of big corporations do not have water treatment plants and continually dump toxic waste into waterways. In 2018, the resurgent right wing parties have attempted to take control of the levers that administer delivery of water. 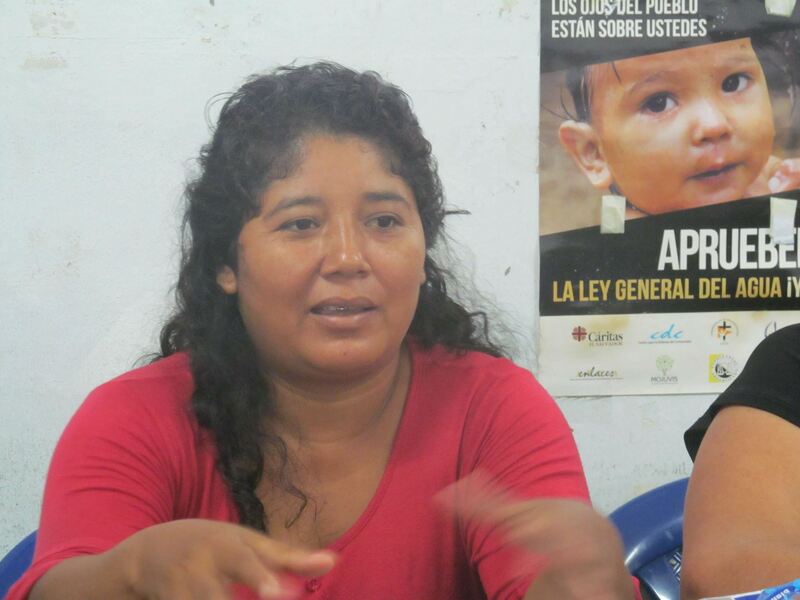 Now, the people of El Salvador are fighting back against the privatization of their most valuable natural resource. In late September, leaders of COFOA helped to deliver 200,000 signatures that support the approval of the proposed general water law, to ensure that the human right to water is recognized in the Constitution of the Republic. The Catholic Church and bishops of El Salvador are standing with the leaders of COFOA in the legacy of Archbishop Romero to fight for clean water. Will you? 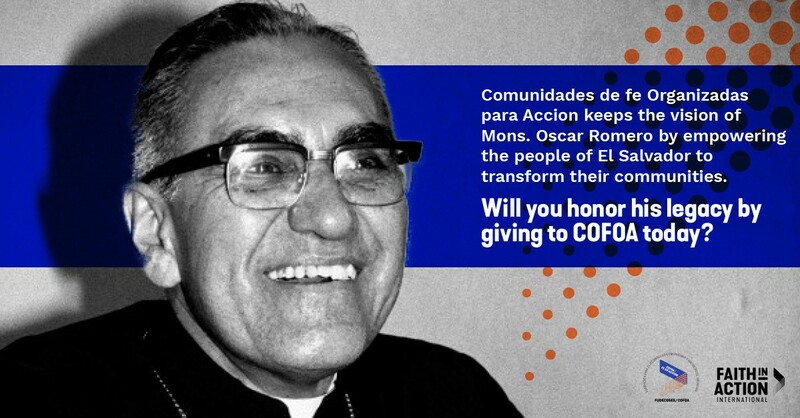 Give today to honor the legacy of Archbishop Oscar Romero and support the COFOA in their fight against the privatization of water. We currently have a matching gift program that will double the impact of your donation if you give today!